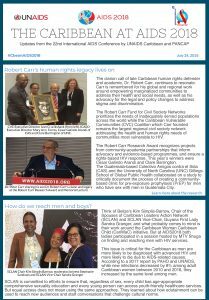 PANCAP Knowledge for Health Project in collaboration with UNAIDS Caribbean. 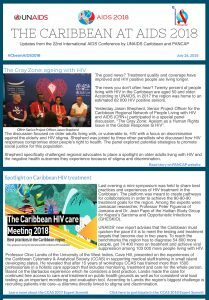 PANCAP collaborated with UNAIDS Caribbean to provide daily updates for the region from the 22nd International AIDS Conference, Amsterdam, the Netherlands, 23-27 July 2018. 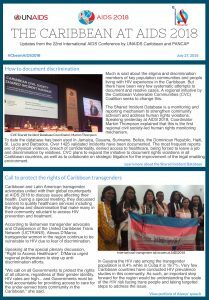 The updates highlighted content relevant to the Caribbean region.